Our Special offers are with buffet breakfasts, local tax and service charge for max. 4 adults/suite. Extra bed: Free of charge for extra bed, each suite can put one extra bed only. 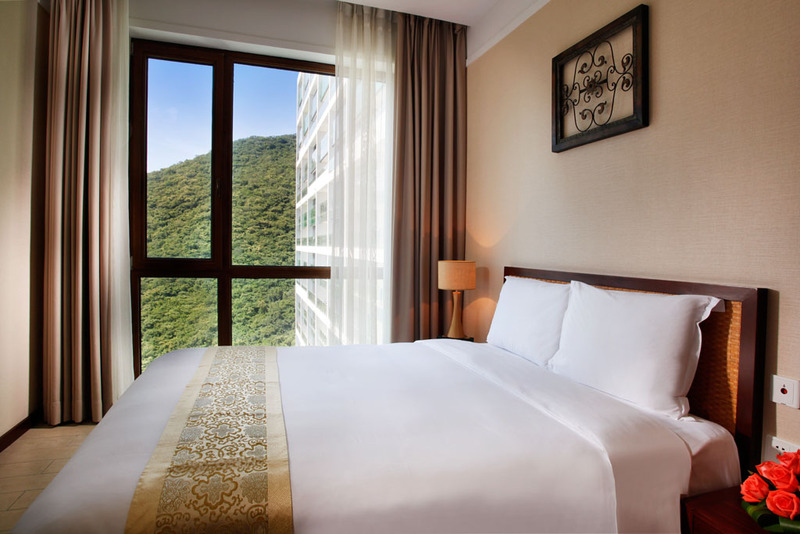 Extra bed during Public Holiday Period costs CNY298/night. Extra breakfast: CNY108/person (above 12 years old), CNY58/child (6-12 years old), free of charge for child under 6 years old. Extra breakfast during Public Holiday Period costs CNY138/person. 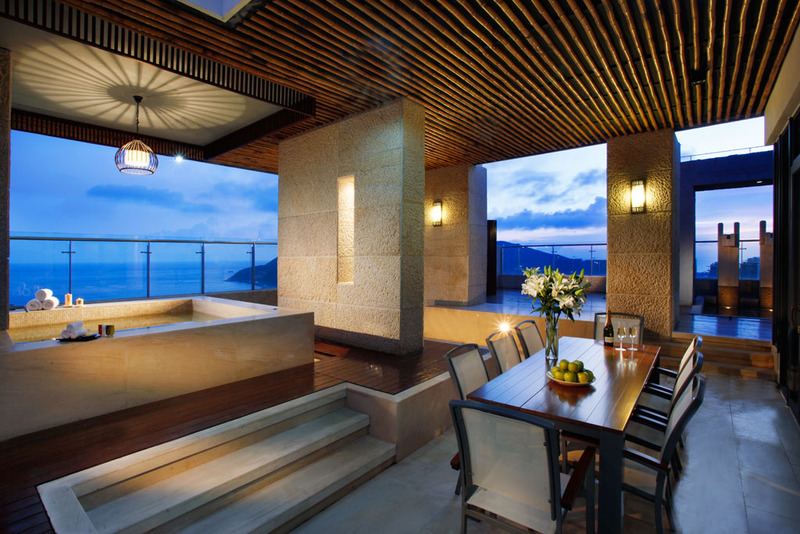 Sanya Serenity Coast Serviced Apartment is located on Xiaodonghai Beach, a public beach shared with Intercontinental Resort Sanya. The beach is about 10 minutes walking distance from the hotel. 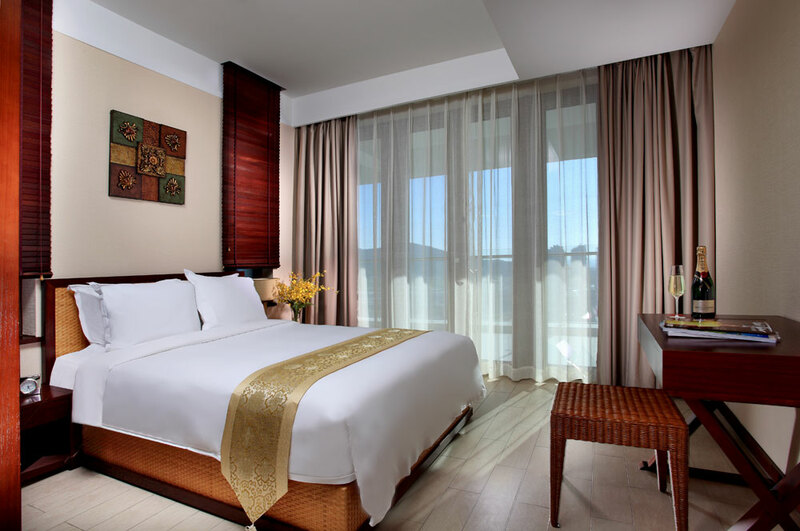 The hotel is 30 minutes driving from Sanya Airport, 10 minutes to Downtown Sanya by taxi, or 5 minutes by car to Dadonghai Beach Sanya for local dining and shopping options. 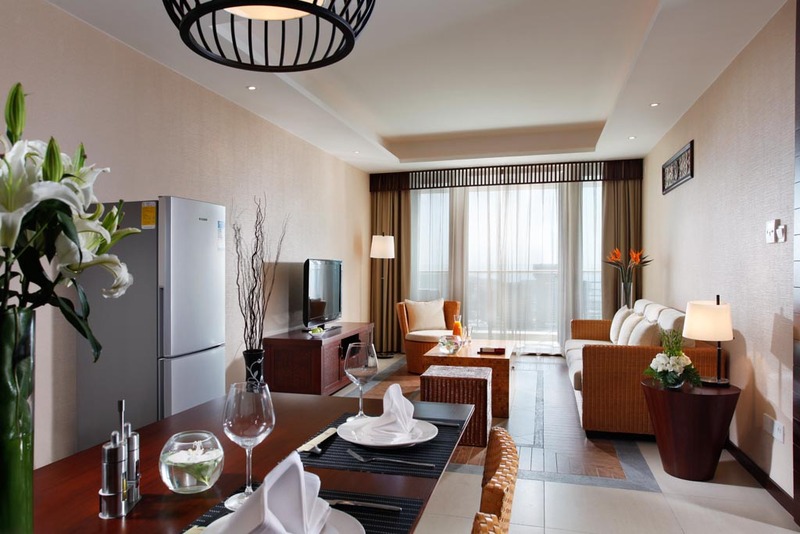 Serenity Coast Resort Sanya is a top serviced apartment resort. 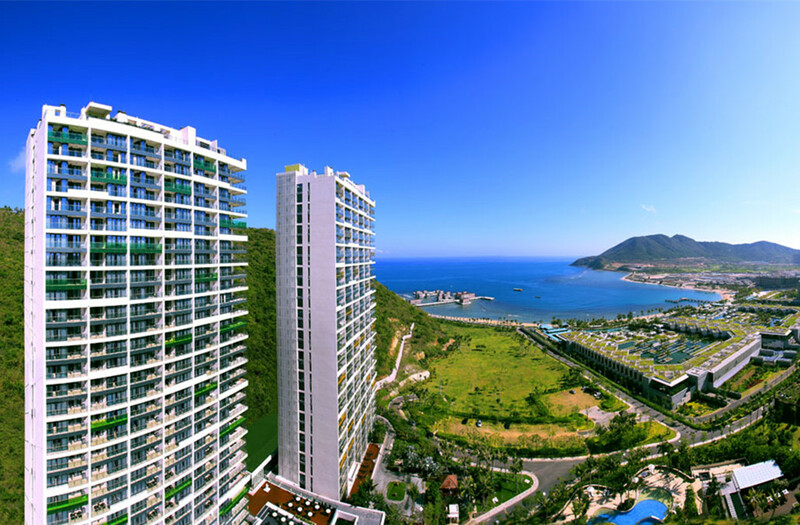 There are apartments with 2-3 bedrooms overlooking the beautiful Xiaodonghai Beach and the Mountain. 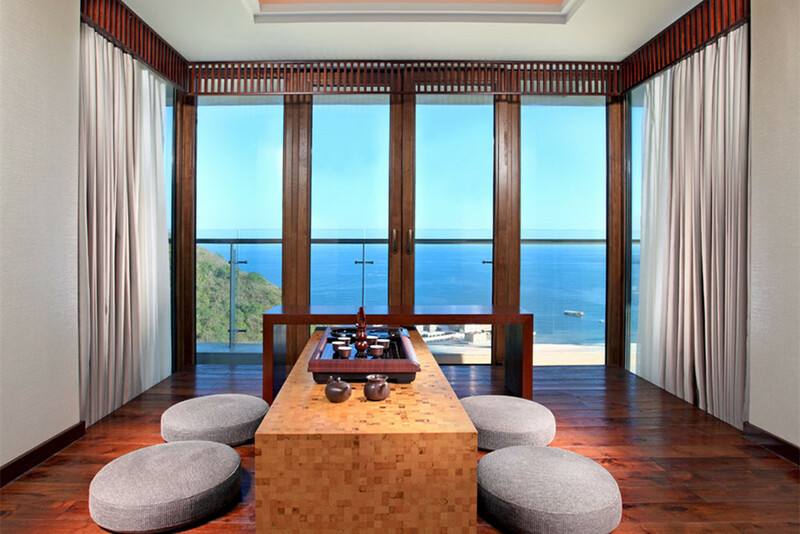 On higher floors, you could see Sanya Bay and part of Downtown Sanya. 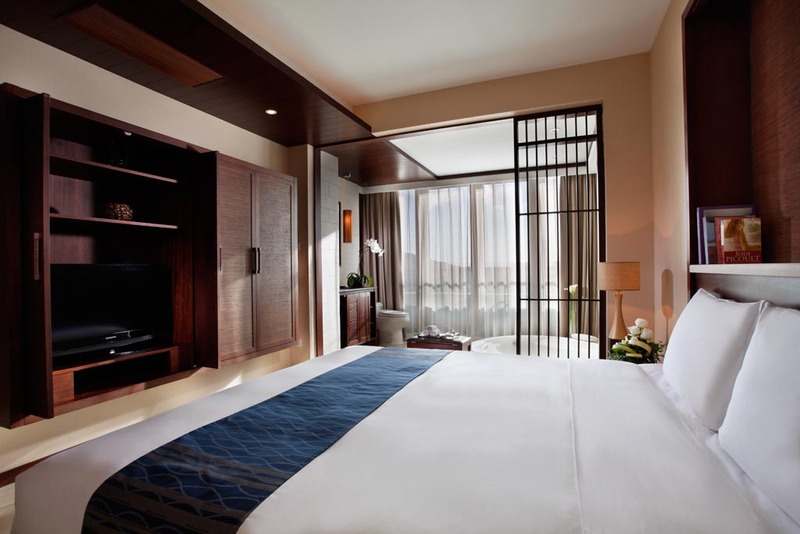 As a serviced apartment, there are more spaces available compared with normal hotel rooms. 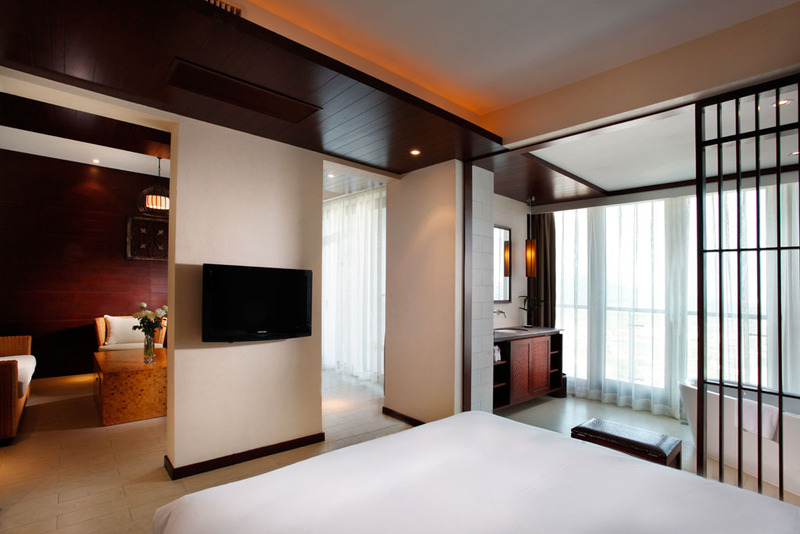 On each floor, there are only 6 suites which make the whole building quite & private. The whole build is single-sided with open corridors overlooking the lush tropical rainforest. 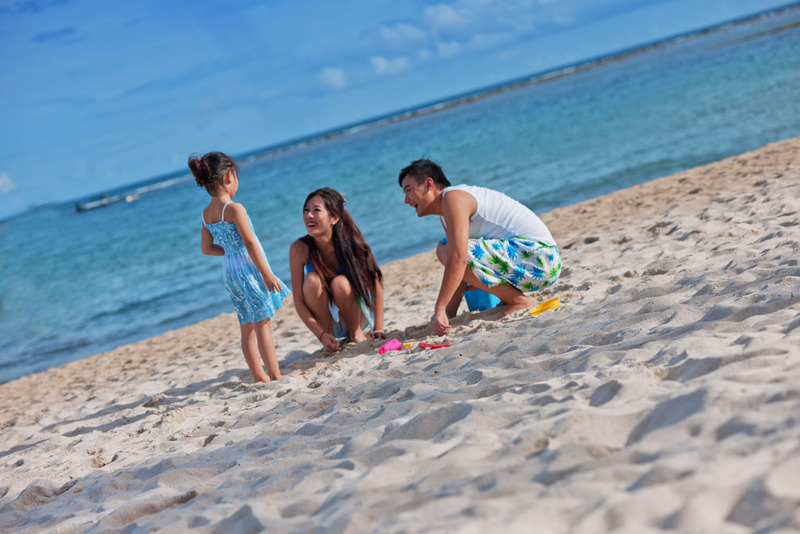 Free Shuttle Bus for in-house guests to Dadonghai Beach and Sanya DDuty-FreeShop is available at 9 am, 10 am, 2 pm, 3 pm, 4 pm, and 9 pm. The return trip is 20 minutes later. As a serviced apartment, all suites are fully furnished with brand new furniture, kitchen, washing machine, dining table. 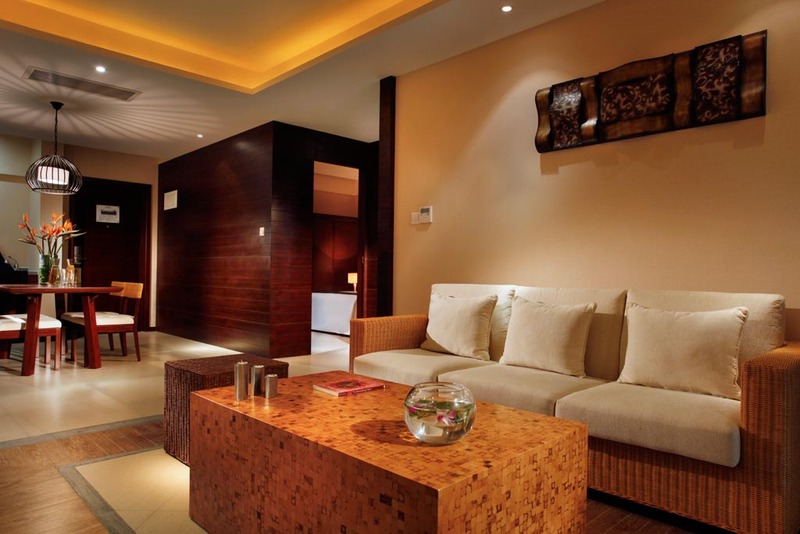 Each suite has 2-3 bathrooms, 1-2 sitting rooms, a spacious balcony, a real kitchen you could cook and internet access. 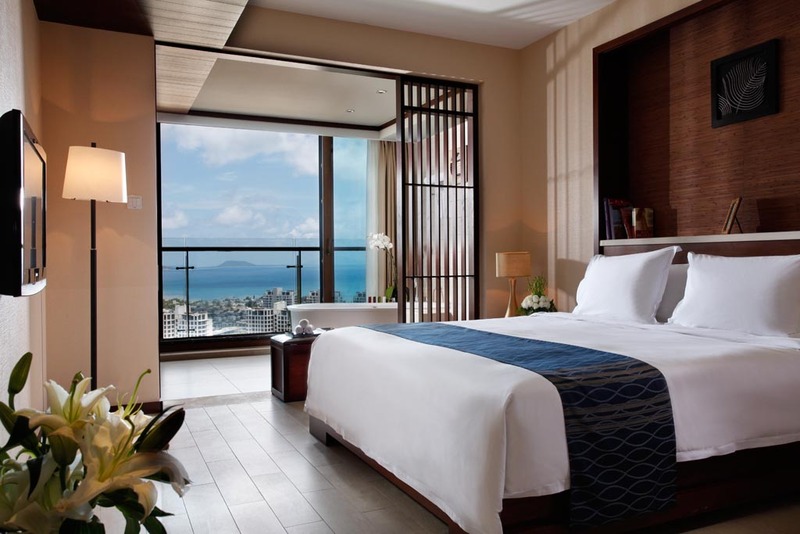 2 Bed Room Suite Ocean View: with 1 king, ocean view, the other queen or 2 single beds, almost no view. 120 sq. meters, with one sitting room, a real kitchen with all utensils, washing machine, balcony, free internet, 2 bathrooms. Some rooms with 2 twin rooms ( 4 single beds). 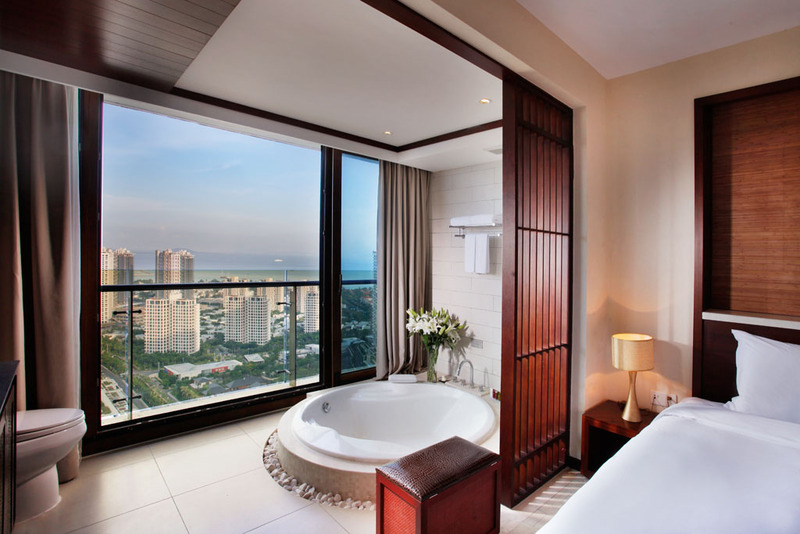 3 Bed Room Suite Ocean View: 3 bedrooms (1 king bed with ocean view, 1 queen with ocean view, the other queen almost no view) 170 sq. meters, with one sitting room, a real kitchen with all utensils, washing machine, balcony, free internet, 2 bathrooms. Chinese restaurant and one Cafe’de Hong Kong offering snacks, drinks, and light dining. 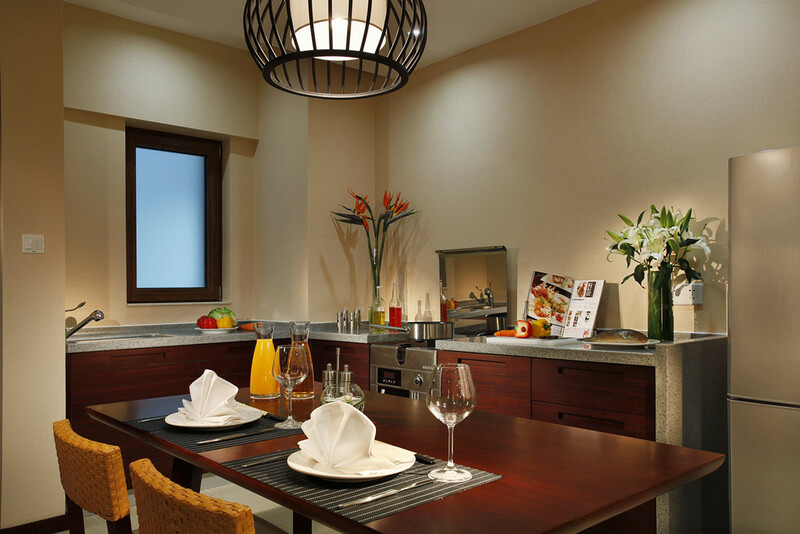 With Inter-Continental just walking distance away, you should not worry about dining during your stay. 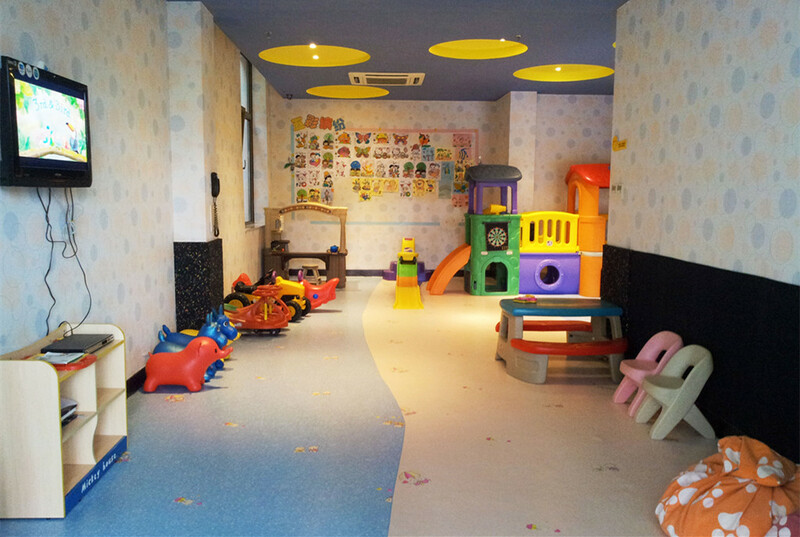 Outdoor Swimming Pool, Fitness Center, Kid’s Garden (in-door), Beach. 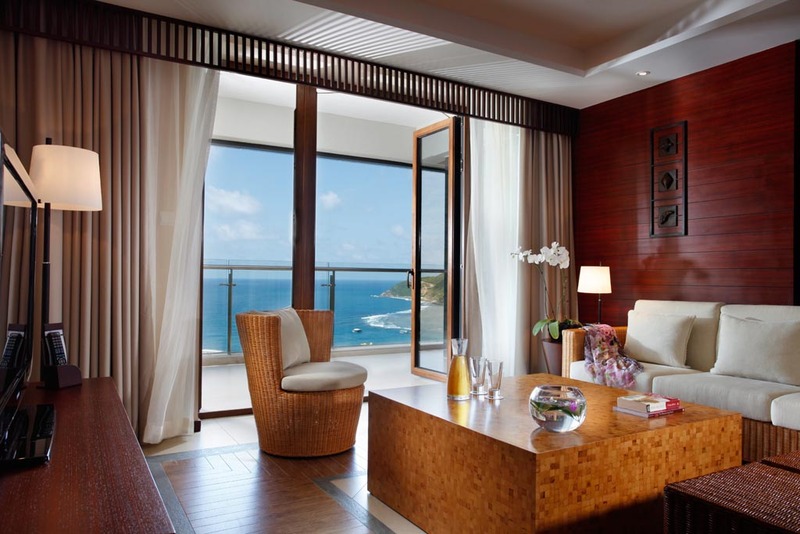 The Sanya Luhuitou Golf Club is just 5 minutes driving away from Serenity Coast Resort Sanya.